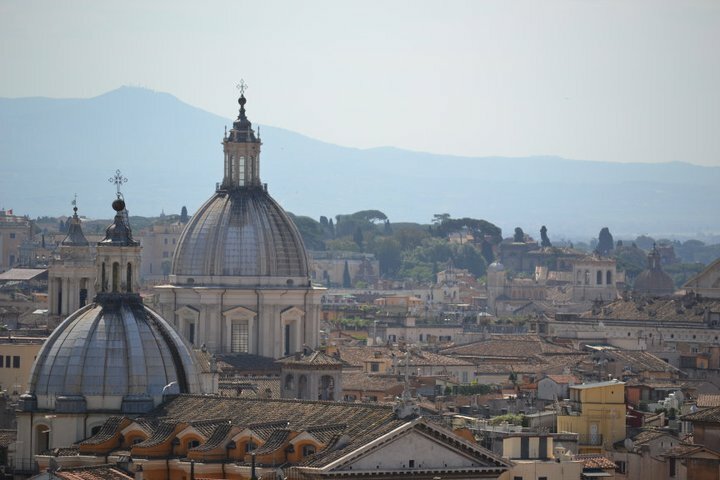 Rome is definitely a popular city in Italy, but if you're thinking of just skimming the surface with Venice or Lake Como - think again - and make sure you add Rome to the itinerary. Rome is amazing. Here's why you need to not skip Italy's capital on your next trip. Basically everywhere you step will be somewhere where Julius Caesar has stepped. Think about how cool that is. Then go see ancient, man made monuments for yourself - the Colosseum, the Pantheon, and the Spanish Steps are remarkable in person and are far more interesting than the photos you saw in history textbooks during school. Going along with the previous point - when you're walking along the Tiber and realize that you're walking along the Tiber, another realization sets in that you are near the river that holds so much ancient Roman history, as it was an important element to the development of the Roman Empire. This airport is big and is typically cheaper to fly into than Florence or other small cities (win!). Rome is a great location to fly into if you're heading to other cities in Italy since it is in the middle of the country. For example, if you wanted to take a day trip to Florence from Rome, you can simply hop on the fast train and be there in under two hours, allowing for a full day of exploration. There are so many pockets and neighborhoods to stumble upon as you turn every corner of the winding streets. Hop on the tram to get to other parts of the city to explore a whole new area. I recommend heading over to Villa Borghese, a large area filled with gardens, parks, and museums. Visit a country within a city. That's right, Vatican City is its own country. Head over there on Sunday to see the Pope and hear the Pope's blessing, stand in the line to go inside the church (it's free and the wait is worth it! ), climb to the top for a spectacular aerial view, or take a tour of the museum. Every inch of the interior is covered in the most extravagant art. It's definitely worth it to spend a day over here. Compare the tastes in Rome to the other parts of Italy. Make sure to try restaurants and cafes that aren't right next to tourist attractions, though, because it will be overpriced and the quality is just not as good. At least when you compare Rome to Florence, you'll find more grassy spots, trees, and other plant life throughout the city center, adding to the beauty of the city and breaking up the colors of the buildings. If you're away from your pets at home, seeing these little kitties roaming around are sure to brighten up your day. Rome still uses ancient water systems to this day - they know their water. There's no need to keep buying disposable water bottles throughout the day when you can just fill it up with cold, clean water on the street or take a quick sip.